Fresh flowers are the one gift that truly makes people smile, according to a study by Rutgers University. International Women's Day, celebrated annually on March 8, is a contemporary way for us to honor the milestones of the favorite women in our lives. It also pays homage to the social, economic, cultural, and political achievements of women around the world. celebrate milestone achievements of the women in your life with flowers. Talk with your florist about the color and style of arrangement to best expresses your sentiment. 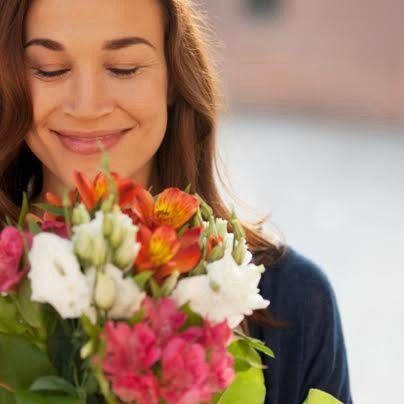 As the favorite women in your life celebrate accomplishments of all sizes, consider that flowers are the one gift that Rutgers University research says makes people truly smile. And, on March 8, whether out of respect, appreciation, or love - keep these flower-giving tips in mind. Professional florists are expert in helping you express your feelings through flowers, so consult with your local florist to send the right arrangement to make a memorable impact on the women in your life. Let the florist know if you or the recipient have a preference for specific flowers or colors, and be open to creative suggestions you may not have thought of. consider her achievement in light of international women's day march 8. Consider whether the occasion or accomplishment warrants a formal arrangement or a more casual, whimsical style. While you may not know exactly what you want, think about whether the occasion or accomplishment warrant a formal arrangement or a more casual, whimsical style. Is she likely to prefer traditional flowers and arrangements, or more trendy designs? Convey her favorite hobbies, colors, and other personal details to the florist so that he or she can match the floral arrangement with the recipient's tastes. detail for the florist where you envision the arrangement will be placed. Your florist can create an arrangement that complements the style and colors of a home, office, or other space. This information can also help your florist determine the appropriate size of the arrangement and may influence the best type of flowers to celebrate the accomplishment. Explore more ideas to make your floral gifts special at aboutflowers.com.